A growing body of research confirms that the most effect way to develop healthy lifestyle behaviors is to make them a habit. In this final installment of our series on coaching behavior change, learn the science behind habit formation and how to help your clients make lasting, positive health-behavior changes. A client’s attitudes and health behaviors are strongly impacted by the conditions in which he or she is born, grows, lives, works and ages. In this latest installment in an ongoing series on coaching behavior change, learn about social determinants and how you can more effectively identify and address the negative factors that may be hindering your client’s efforts to make positive lifestyle changes. Relapses are a normal part of the behavior-change process. In this latest installment in an ongoing series on coaching behavior change, learn how to help clients recognize triggers for relapse, prepare them for these triggers and practice how to address them, and coach them on how to resume an intended behavior change after relapse occurs. What can you do to help a client who has unsupportive family and friends or who does not have a strong network? In this latest installment in an ongoing series on coaching behavior change, learn how to implement a four-step approach to help a client strengthen his or her social supports. When discord in a coach-client relationship occurs, it is critical to identify and address it early on so that the quality of the working relationship is not compromised. 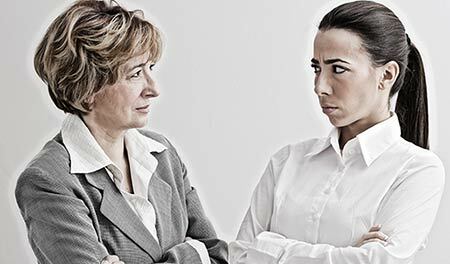 In this latest installment in an ongoing series on coaching behavior change, learn how to quickly recognize discord and utilize appropriate strategies to effectively handle it before it damages the relationship. Providing feedback in a way that is effective and client-centered goes a long way in helping to support clients in continually improving their health, fitness and overall well-being. 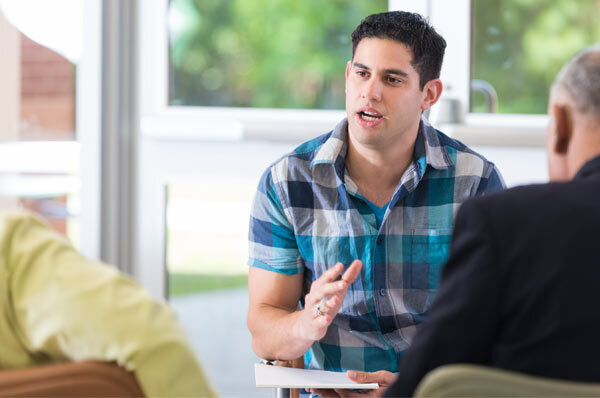 In this latest installment of an ongoing series on effective methods for coaching behavior change, learn how to maximize your impact by providing effective, client-centered feedback. Having a weight-management coach can make a huge difference in whether a person is able to successfully achieve and maintain weight loss. 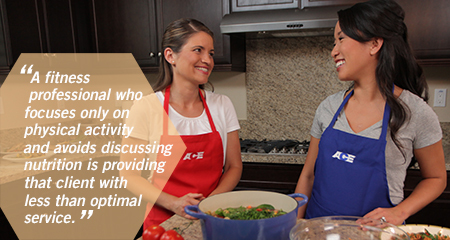 Part of the reason coaching experiences are often so successful in helping people achieve their weight-management goals is because the most effective weight-management coaches have mastered these five specific skills. When it comes to helping clients lose weight, we need to turn to the evidence and learn what science suggests is the most effective and, importantly, safe way to help people achieve and maintain a healthy weight. 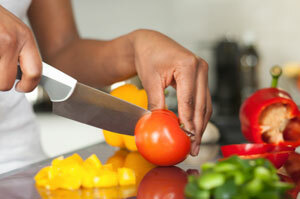 Here are five nutrition practices that are likely to help guide people toward a healthy and sustainable weight. Small celebrations are powerful motivators for behavior change. 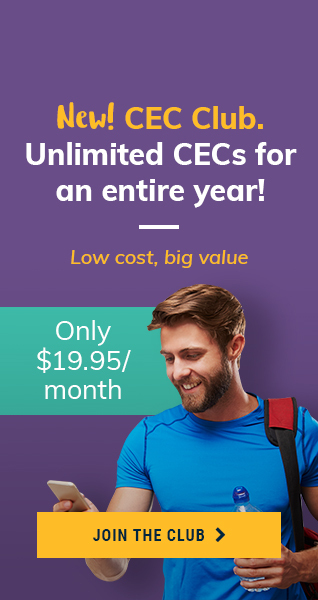 In this most recent installment of an ongoing series on coaching behavior change, learn how to seamlessly integrate celebration into your clients’ programs in a way that supports their intrinsic motivation, rather than relying on praise, rewards or supports that are externally based. The most effective behavior-change plans build in accountability for change. 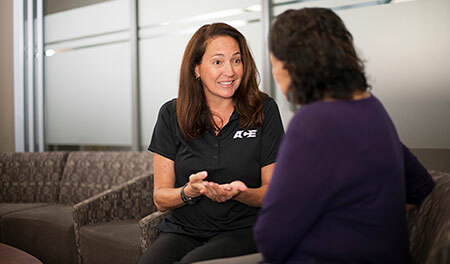 In this fifth installment of an ongoing series on coaching behavior change, learn how to help clients develop more “response-ability” through accountability by incorporating four specific components into your behavior-change programs. Health coaches have never been in greater demand, as more and more people recognize the power of this profession to help people make lasting positive changes in health and well-being. 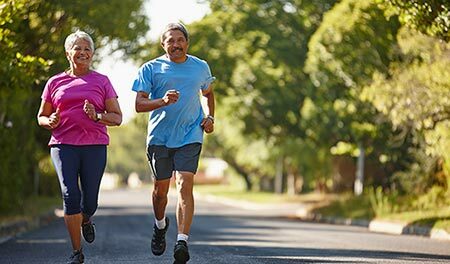 The health-coaching profession is expected to continue to grow in 2016, as several recent studies and reviews have established the benefits of implementing coaching principles to improve health. Here is a small sampling of these findings. Following the full rollout of the Affordable Care Act in 2014 and healthcare reform, the healthcare system saw some notable trends and signs of progress along with some setbacks in 2015. Here are a few of the highlights with the most relevance for health and fitness professionals. A healthful behavior is more likely to occur when the environment supports it and systems are in place to offer a gentle nudge to make it happen. In this fourth installment of an ongoing series on coaching behavior change, learn how to help clients rely less on their willpower and instead set up their environments so that making the healthy choice becomes the easy choice. Do you know the key values that drive your clients? What about their big dreams and vision for their lives? Understanding your clients’ values is essential to helping them set meaningful goals. Learn how you can help your clients craft personal mission statements and look to the future through the process of visioning, which will help to set the stage for a deeper connection and a greater impact. Of all of the skills you need to help clients effectively “talk themselves into change,” none is more important than the reflection, which includes repeating back what the client says or may be feeling. In this third installment of an ongoing series on coaching behavior change, learn how to use this powerful communication technique to help clients assess their beliefs and behaviors and come up with their own solutions. In this second installment of a new series featuring useful tools and information that can improve your communications with clients and help them reach their goals, learn how to use agenda mapping to help clients narrow their focus and establish specific goals. As a health and fitness professional, you need the knowledge and skills to help your clients make sustainable changes that improve their overall quality of life. In this first installment of a new series featuring useful tools and information that can improve your communications with clients and help them reach their goals, learn how to use the confidence ruler to help your clients identify their reasons for wanting to make healthy changes. 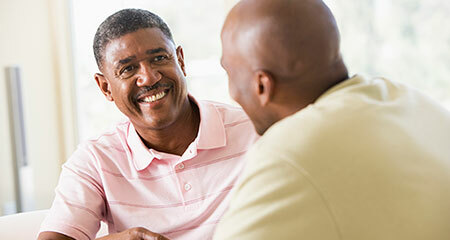 The demand for health coaching and behavior-change coaching has never been greater, with research demonstrating the value of coaching in helping people improve health behaviors and, as a result, quality of life. 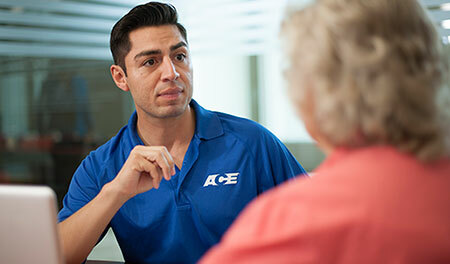 ACE has developed a general consensus and position on what it means to be a certified health coach versus a specialist in behavior change. 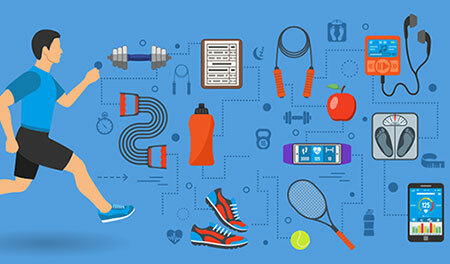 Here’s what you need to know about this new and evolving field, and how it can enhance and expand your career as a health and fitness professional. 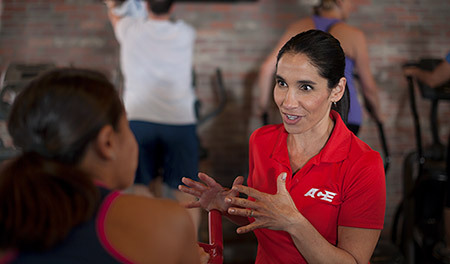 As a health and fitness professional, you can maximize client-behavior change through the use of coaching techniques such as open-ended questions and reflective listening to help a client explore his or her own motivations, strengths and benefits from making the change. By doing so, you shift your approach from “expert”-centered programs to client-centered programs, and set the stage for increased client success. Are you tired of spending inordinate amounts of time developing tailored exercise programs only to have a client drop off after a few sessions? You can increase your impact and efficiency by incorporating a few key behavior-change principles into your personal-training program. Here are five ways to help incorporate behavior-change principles into your daily client interactions. Anyone who has tried to help people make a behavioral change knows how difficult it can be, and not everyone is ready to make the changes we think they need to make to improve their health. Learn how to use the ACE Cycle of Change to help you tailor behavior-change interventions to your client’s readiness to change. 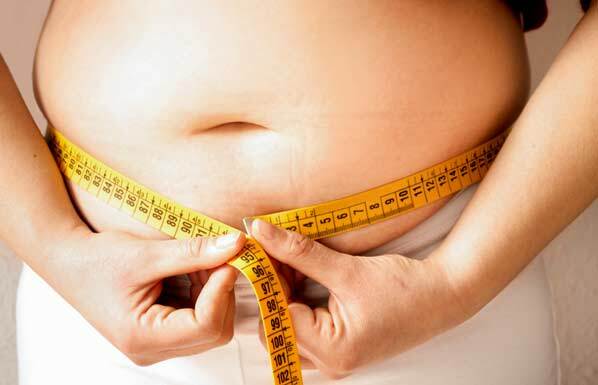 Study: Are Overweight Children and Teens Destined to Become Overweight Adults? New research suggests that a child who is overweight by the age of five is highly likely to grow up to be an overweight teenager and adult. Pediatrician and obesity expert Dr. Natalie Digate Muth explains the implications of this new study and offers practical, proven tips for parents who want to help their children eat more healthfully and potentially avoid a lifetime of weight issues. 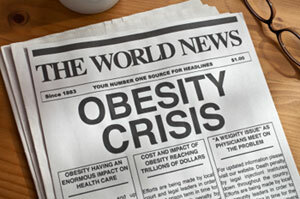 The Inaugural Obesity Week: What Does It Mean for You? 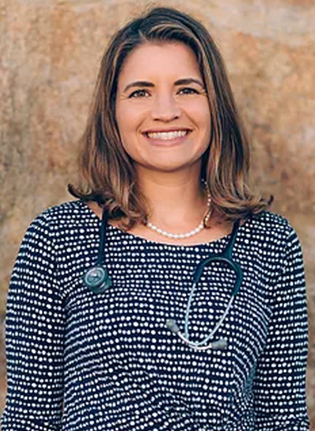 This week, Dr. Natalie Digate Muth, ACE’s Senior Health Strategist, is attending the inaugural Obesity Week, an event focused on identifying solutions to reversing the national obesity epidemic. 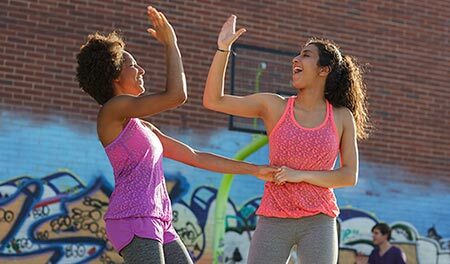 In this blog, she explains what this event means to fitness professionals and how you can get involved in improving the health of your communities. 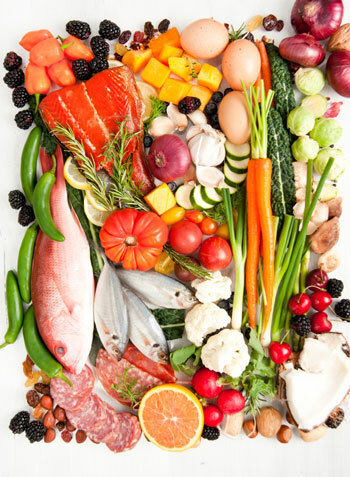 It’s one of the hottest diets around, with everyone from celebrities to CrossFit followers touting the benefits of going Paleo. But is this caveman-inspired diet as healthy and beneficial as adherents promise? Dr. Natalie Digate Muth looks at the available research on Paleo diets and outlines the pros and cons of following this ancient eating plan. Intuitively, many parents know that kids tend to do better when they follow an established routine and know what to expect of the day ahead. 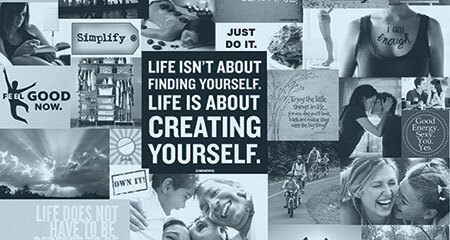 But busy schedules and commitments can make following a routine a challenge. Dr. Natalie Digate Muth reviews a new report that suggests that creating positive routines can significantly benefit a child’s health and well-being, and offers tips and examples for how to successfully add these routines to your daily life. Pregnancy and Your Workout: What Really Needs to Change? There still remains a lot of confusion surrounding how much a woman should exercise during pregnancy, including whether or not she should start exercising if she was previously inactive. Dr. Natalie Digate Muth details the latest expert recommendations, as well as some of the benefits of staying active during pregnancy. 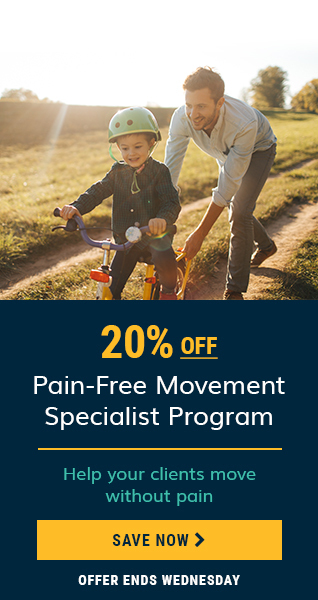 It can be a struggle to figure out how to get your kids to eat healthfully and be active, but fortunately, some new tools are now available that should make it a whole lot easier. 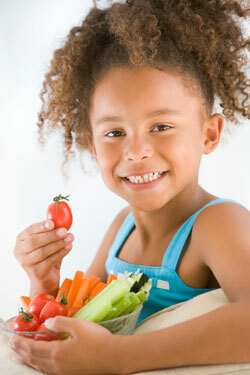 The USDA recently developed a set of tools geared at kids called My Plate Kids Place. 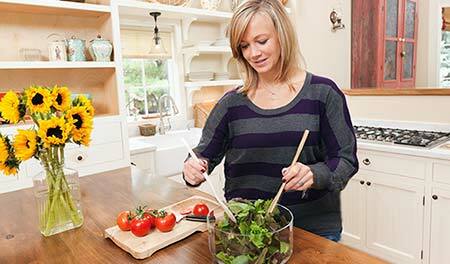 Pediatrician Dr. Natalie Digate Muth reviews these latest offerings and explains how these tools can be used to help kids want to make healthier choices. The incidence of food allergies among infants and children continues to rise, with experts estimating that as many 8 percent of kids may be affected by some type of food allergy. A new study, however, suggests that serving homemade unprocessed baby foods may offer worried parents a possible way to stave off future allergies. 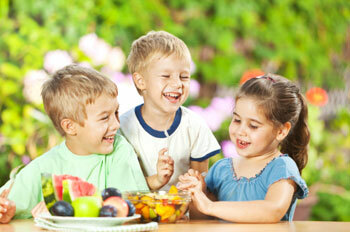 At a loss for how to encourage your children to eat more vegetables and fruit? A new research study suggests that reading nutrition-focused storybooks to your children may help turn your child into a veggie fan, even when all other approaches have failed in the past. Pediatrician Natalie Digate Muth explains the new research and suggests some books worth adding to your story-time line-up. 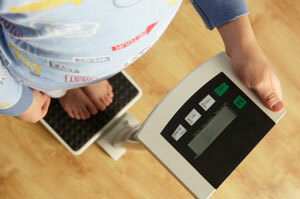 Is It True That Kids Really Can “Outgrow” Obesity? 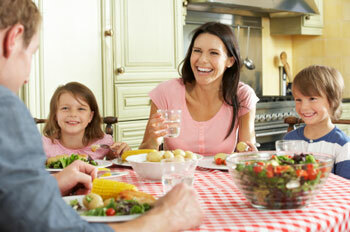 What should a parent do if he or she realizes her child is overweight or even obese? Is it cause for alarm or is it likely the child will eventually grow taller and, thus, “outgrow” his or her weight issue? Dr. Natalie Digate Muth explains the findings of a new study, which sheds important light on this issue, offering specific formulas for parents and pediatricians to use when creating a plan to address a child’s weight problem. When it comes to offering nutritional advice, what exactly is within the bounds of a fitness professional’s scope of practice? While the laws in each state vary widely, here are some basic guidelines for you to follow, along with some helpful tools and resources to help your clients improve their nutritional status and enjoy the benefits of eating healthfully. How can I teach my child about healthy hydration, especially in the warm summer months? 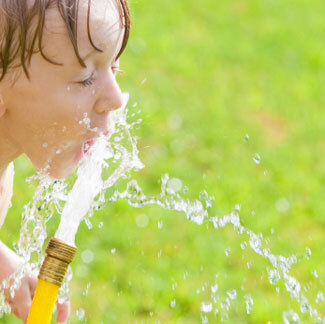 With the hottest months of the year just ahead, it’s essential that your kids know how to stay hydrated while playing outdoors. Here are five tips for educating your children about the importance of hydration before, during, and after exercise—especially in hot and humid conditions—that will help ensure you all have a safe and enjoyable summer fun. Getting excited for your summer vacation? 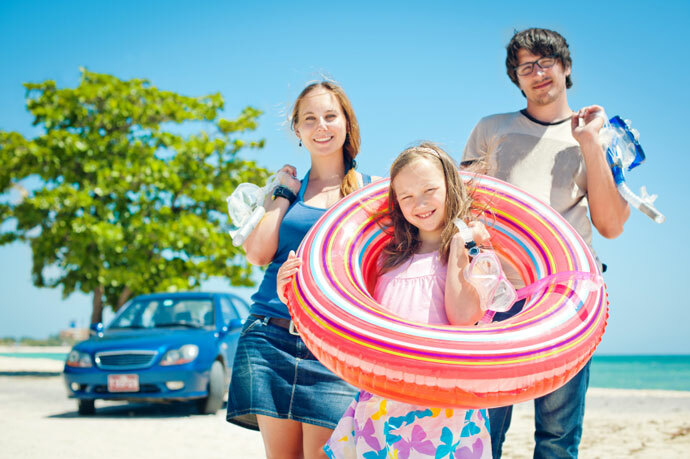 Don’t head out the door before checking out these great tips for making summer travel both fun and healthy. 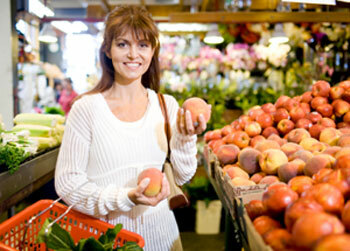 Do you love the idea of shopping at a farmers market—with it colorful array of delicious, nutritious and locally grown fruits and vegetables—but don’t really know what to purchase or how to get the best deals? Here are 10 tips to make the most of what will hopefully become a weekly summertime outing for you and your family. 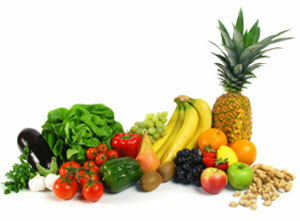 Fruits and vegetables are high in fiber, vitamins and minerals; low in calories and sodium; and rich in a variety of phytochemicals—natural compounds that are powerful disease fighters. Dr. Natalie Digate Muth explains how you can pack a nutritional punch by choosing a mix of fruits and vegetables from the five main colors of the fruits and veggies rainbow—red, yellow/orange, green, blue/purple and white/tan/brown. If you struggle to get the recommended five to nine servings of fruits and vegetables per day, don’t worry—you’re not alone. 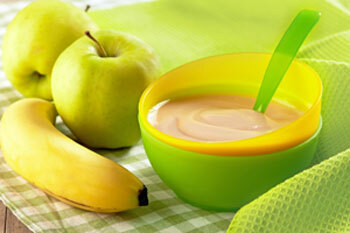 But there are plenty of great benefits that make it worth the effort to up your intake of these health-boosting foods. 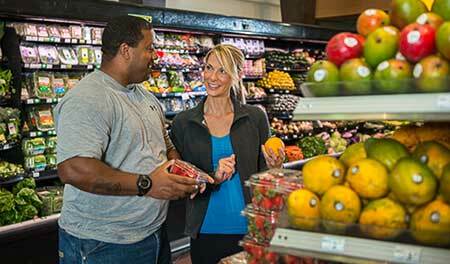 Read on to learn how you and your family can gradually increase the number of servings of fruits and veggies you eat each day.